The Russian journalist who staged his own death in a sting operation with Ukrainian authorities has described how he was smeared with pig’s blood and taken to a morgue as part of the spectacular effort that he said was necessary to thwart a Russian plot to kill him. The reporter, Arkady Babchenko, revealed the details of the operation to reporters in Ukraine's capital, Kiev on Thursday, a day after Ukraine's SBU spy agency announced that Babchenko's apparent killing was in fact an elaborate ruse. "I only stopped being afraid at the morgue," he said. Speaking on Thursday, Babchenko described how the operation had involved staging every step of an actual assassination. 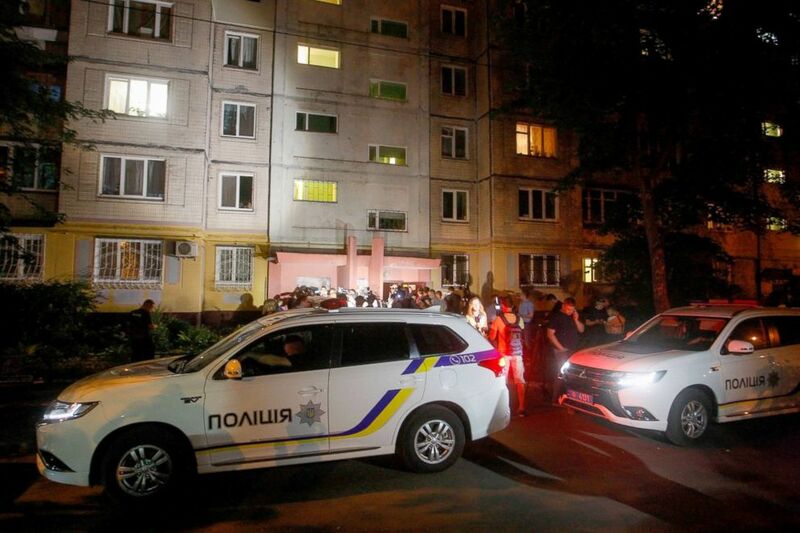 On Tuesday, Ukraine’s police said that Babchenko had been shot dead in his apartment building, saying his wife had found him covered in blood with multiple gunshot wounds. She called an ambulance, and he was declared dead before reaching the hospital. A photograph appeared in Ukrainian social media showing Babchenko’s "corpse," lying in a pool of blood with three bullet-holes in his back, while police released a sketch of a supposed 'suspect'. On Thursday Babchenko said that he and Ukraine’s police had simulated every step of that. First, he said a make-up artist arrived at his house and he began practicing falling down. “It was all real. I made that shirt with bullet holes in it and I laid on the floor. They have poured blood over me, I took some of it in my mouth and let it out,” Babchenko said. His wife, who Babchenko said had been in on the deception, pretended to then find him dying and called an ambulance. Real paramedics arrived and carried him to the ambulance which drove to the hospital, reporting that Babchenko had died on the way. He said a doctor had then recorded his death and he had been transported to the morgue. “I was lying there pretending that I was the murder victim, like a dead person. They came to the morgue, they put me on the tray, the doors were closed behind me and then I was resurrected. I turned on the TV. I sat down and watched news of my ‘murder’." He said he was then taken to a secure location, with the whole operation lasting until 5 a.m. Until the last moment, he said, he had feared the operation would fall apart. Babchenko’s "killing" was taken as real by his friends and colleagues, and around the world. Obituaries were written and posthumous tributes flooded Russian newspapers for the reporter, who is known as war correspondent and uncompromising critic of the Kremlin. Foreign officials expressed their condolences and there was demands that the killers be found. Just under 24 hours later he reappeared, dumbfounding reporters as he walked into a press conference. Smiling slightly and shrugging, he apologized to his wife and colleagues, saying the deception had been necessary to save his life and to catch the real plotters. Ukraine’s SBU security services said two men, one of whom was allegedly paid $40,000 by Russian spies, were arrested as part of the sting. The SBU said the operation also caught the Kremlin red-handed in its efforts to assassinate opponents in Ukraine. Ukraine though has faced criticism since over the extreme method. Critics said it posed a threat to media credibility and played into the hands of the Kremlin which has regularly sought to claim attacks on its opponents have been staged. Many of Babchenko's colleagues, expressing delight at his survival, had said it was cut with confusion and doubt about whether the exotic method had been necessary. Babchenko “has emerged from the grave as a victor, and now he owes many of his friends a vodka, time and some words in answer to what was written in the obituaries,” wrote Kirill Martynov, political editor at the Russian investigative newspaper Novaya Gazeta, where Babchenko had worked and which has lost six of its journalists in real assassinations. Ukrainian police stand in front of the entrance to the home of Russian opposition journalist Arkady Babchenko in Kiev, Ukraine, May 29, 2018. Babchenko though was unapologetic, saying those criticizing the operation had never been in his position. “When someone comes to you and says here’s an order for your killing, do you proudly say: I’m thinking about the media’s reputation! Let me be killed! Carry on!,” he said. Pressed for details on the alleged Russian contract on him and how the fake death had aided Ukrainian agents, Babchenko said he had no idea and was leaving it up to the security services. Sergei Skripal is a former Russian double agent who was almost killed in March when he was poisoned with a nerve agent in Britain. British authorities have blamed that attack on Russia. The Kremlin has claimed that attack too was staged and critics have warned that the Babchenko operation lends the Kremlin ammunition for such claims, which have become a standard part of Russian denials over attacks on its opponents. Other journalists have warned the operation puts journalists in greater danger by giving repressive governments the chance to claim killings were simply fakes. Ukrainian authorities have defended the operation and stressed that they had kept Babchenko alive. There has been a string of assassinations in Ukraine over the past two years, including last year of a fugitive Russian MP, Denis Voronenko, who was gunned down in central Kiev after defecting to Ukraine. "The hybrid war waged by the Russian Federation against Ukraine demands unorthodox approaches while effecting countermeasures,” Ukraine’s embassy in London said. Others noted that there were a number, albeit very small, of precedents for such operations. AFP recalled the case of the Romanian dissident, Virgil Tanase, who French security services pretended to kidnap in order to thwart his assassination by Romania’s then Communist government in 1982. Some of Babchenko's colleagues said much depended now on whether Ukraine could provide evidence the operation had been necessary. "We will hope all the same that in some future courtroom will see the facts put on the table that really deserved such sacrifices from Babchenko and his family. In any case, live people are better than dead," Martynov, the Novaya Gazeta journalist, wrote.